I joined ISU Streeter Brothers Insurance in the year 2000. My goal with our clients is to find the most comprehensive coverage possible for their insurance needs without breaking the bank. I take pride in verifying accurate information and making sure you understand the coverage we provide. It is very important to me that each and every client has the coverage they need." Shaunna is a licensed producer for property and casualty insurance. She has great communication skills and has earned the respect and trust of both her underwriters with each carrier and our commercial lines clients. Shaunna is a Billings Senior High School graduate. 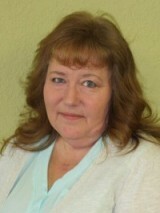 She enjoys cooking, gardening, and fishing with her family.